2017/09/14 English version of the press release (vol. 2) is now available. 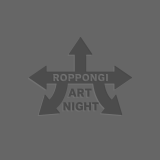 2017/08/17 “Roppongi Art Night 2017” - the program details confirmed! 2017/07/12 English version of the press release is now available. 2017/07/10 Introducing the theme and the main visual for “Roppongi Art Night 2017”!